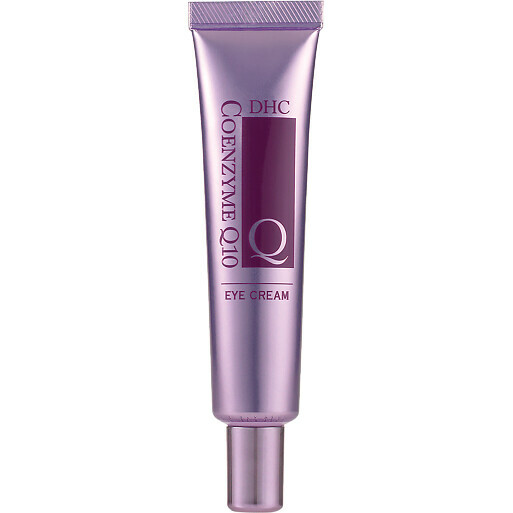 DHC CoQ10 Eye Cream is a richly textured moisturiser, specially formulated with firming Q10 to minimise the appearance of fine lines and wrinkles. This intensively nourishing eye cream has been created with ultra-hydrating Shea Butter and Olive Oil, infused with vitamins A, C and E and anti-oxidant rich co-enzyme Q10 to moisturise, soothe, plump and firm the delicate skin underneath and around your eyes. These nurturing ingredients work in sync to encourage collagen production and preserve skin's natural elasticity to gradually diminish the look of crow's feet and combat sagginess. The eye area is left brightened, supple and renewed. After toning, apply to the tip of your ring finger and lightly pat cream under and around the eyes. For best results, use with other DHC CoQ10 products. DHC Coenzyme Q10 Eye Cream 25g is rated 5.0 out of 5 by 1.